Boston, MA (May 24, 2016) — Brady People ID has released a unique lanyard with a custom look and feel. 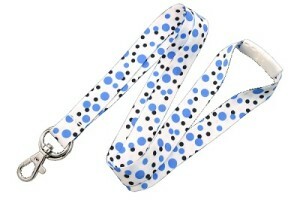 Introducing the polka dot lanyard. Made of our Ultraweave material, the polka dot lanyard features a dye-sublimated polka dot pattern with a white safety breakaway and NPS trigger hook and split ring end-fitting. Choose from four vibrant polka dot colors: blue, green, pink, and purple. For pricing, availability and more information, visit Brady Warehouse.